I'm working on a Ubuntu system, and my client has completely forgotten his administrative password. He doesn't even remember entering one; however it is there. I've tried the suggestions on the website, and I have been unsuccessful in deleting the password so that I can download applets required for running some files. Is there a solution? By default the first user's account is an administrative account, so if the UI is prompting you for a password it's probably that person's user password. If the user doesn't remember their password you need to reset it. To do this you need to boot into recovery mode. Hit the down arrow until you select the 2nd entry from the top (the one with the recovery mode in the description) and then hit Enter. Using the arrow keys scroll down to root and then hit Enter. Type in what you want the new password to be at the prompt. After it's successful reboot the machine and the user will be able to log in with their new password. There is concern about this being a security vulnerability. It is not. You need to have physical access to the machine to do this. If someone has physical access to your PC, they could do far worse than change a password. When it comes to physical access, the battle for security is lost. Be wary of who you let on your PC. Even setting a root password will not be successful, as one can simply boot with init being /bin/sh and have full root access. Again, given physical access, anyone with computer knowledge can do ANYTHING to your computer. Yes, you can change the old password via GRUB. 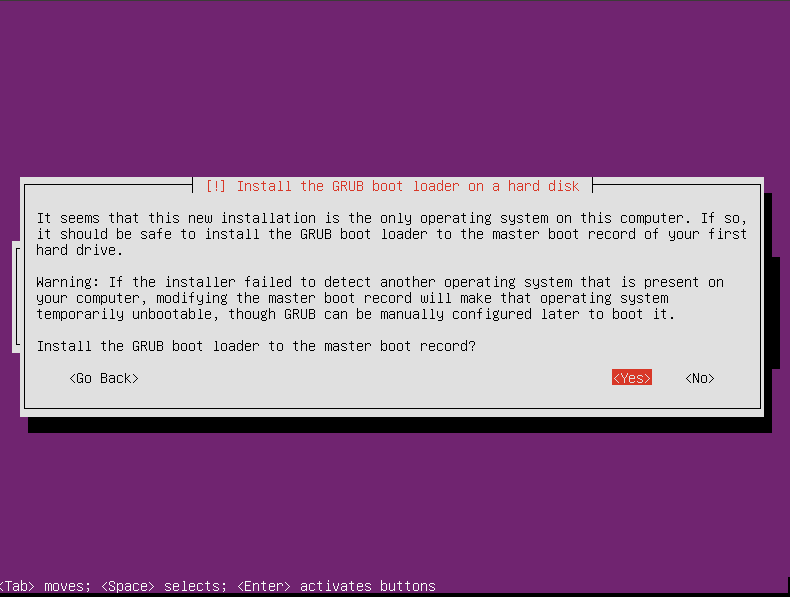 If you have a single-boot (Ubuntu is the only operating system on your computer), to get the boot menu to show, you have to hold down the Shift key during bootup. If you have a dual-boot (Ubuntu is installed next to Windows, another Linux operating system, or Mac OS X; and you choose at boot time which operating system to boot into), the boot menu should appear without the need to hold down the shift key. After you select recovery mode and wait for all the boot-up processes to finish, you'll be presented with a few options. In this case, you want the Drop to root shell prompt option so press the ᛎ Down arrow to get to that option, and then press Enter to select it. Once you're at the root shell prompt, if you have forgotten your username as well, type ls /home (small letters & not capitals). This will list all the user accounts in your set up. To reset the password, type passwd username where username is the username you want to reset, for example, passwd mysterio in my case. Now the password should be reset. Type exit to return to the recovery menu. 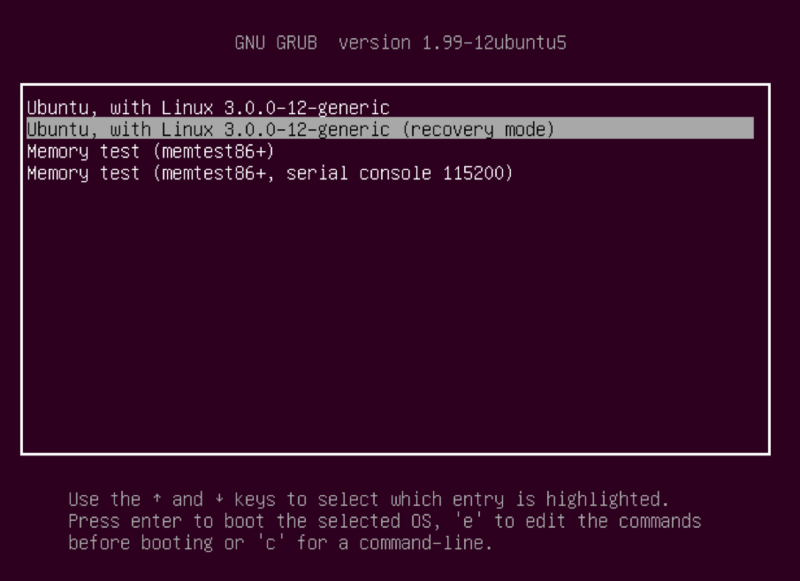 After you get back to the recovery menu, select resume normal boot, and use Ubuntu as you normally would — only this time, you actually know the password! My USB keyboard did not work at the root prompt ⋯ probably hardware either keyboard or mainboard. To fix I used an old PS/2 keyboard (the little round plug) and use that. When I used passwd username to change my password, it failed because of a bad token or such. This called for drastic measures. This is a very dangerous thing to do! Jorge's method should be used; only do this in case that method doesn't work. Do this at your own risk. It did work for me on my 11.10 system. The idea is to set the user's password to blank (or null) - this allows you to just press Enter at the Password: prompt. Now you are a super-user on this system. Tread lightly. where $1$amFeNcjp$PprjCKEVk3UtzKwWfEMOY0 is the encrypted password. Then type Ctrl+O, press the Enter key to save, then Ctrl+X to close nano. Reboot and you will have an empty (or null) password. Be sure to use passwd username in a terminal to set or reset your user password. Source for PS/2 workaround was here. Sources for the drastic measures were here and here. Note on nano ― the -B option makes a backup of the original edited file, same name with a "~" appended. Now issue the command passwd username *where "username" is the user for which you want to change the password. For Xubuntu 14.04 just follow the screens below. It's similar to some of the other answers. Then choose root, and once you get the prompt type passwd <user_name>, to change the password. 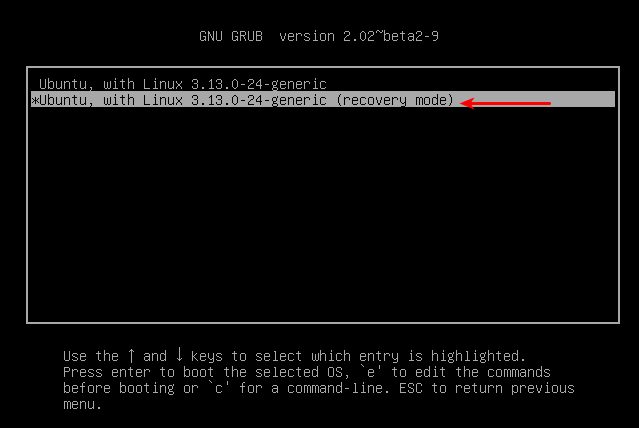 If recovery mode is disabled, the method I would use is booting to a Live CD or USB. It could be the media you installed from or just another Ubuntu ISO you've downloaded and burnt. The process is fairly simple. Boot to the Live media. From the menu, open a terminal. 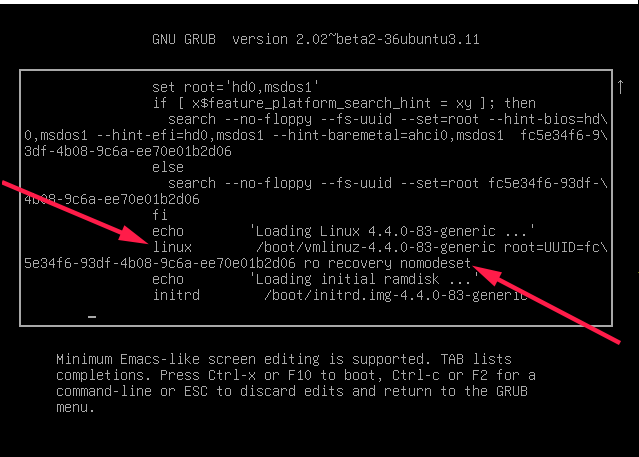 Become root on the system by running sudo chroot /mnt. You can now do anything root can on the real install. A lot of people that have Unix background or experience with other distributions stumble on this issue quite often. will always fail because the root account is locked; it cannot be accessed directly or you cannot login directly to root. There are great advantages in using the sudo facility. This works for Linux Mint 14, too. First, you have to reboot into recovery mode. If you have a single-boot (Ubuntu is the only operating system on your computer), to get the boot menu to show, you have to hold down the Shift key during bootup. 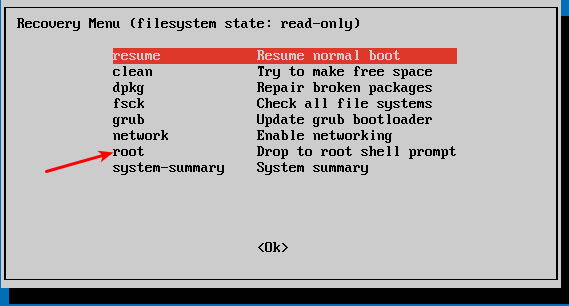 From the boot menu, select recovery mode, which is usually the second boot option. After you select recovery mode and wait for all the boot-up processes to finish, you'll be presented with a few options. In this case, you want the Drop to root shell prompt option so press the Down arrow to get to that option, and then press Enter to select it. That's a lowercase L, by the way, not a capital i, in ls. You should then see a list of the users on your Ubuntu installation. In this case, I'm going to reset Susan Brownmiller's password. Now the password should be reset. 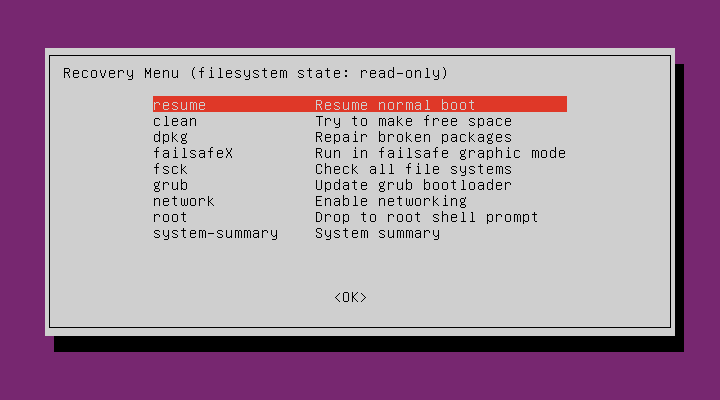 After you get back to the recovery menu, select resume normal boot, and use Ubuntu as you normally would—only this time, you actually know the password! First, when booting up - don't press the left shift key until the BIOS screen goes black and then immediately press and hold the left shift key. Then, after perhaps a minute and a number of lines of text scroll on the screen, I got the first menu, but with a couple of fewer lines - I chose the second line. There was a choice (not shown on Jorge's screen shot) to Remount Read/Write Used the down arrow to go to it, then left arrow to get to and Enter - and it mounted the disk RW. Then again to Drop to Root Shell Prompt and I'm root and can write - so passwd username had me enter the desired password twice - then exit to go back to Recovery Menu Resume normal boot and everything worked fine with my new password! I'm the only account on this box, and my password works with sudo so I apparently have Administrative Privileges. This was less exciting than editing /etc/shadow but I was glad to trade the excitement for a nice ending. "10 Easy and Simple steps to Reset Lost or Forgotten Password"
Reboot computer and hold the Left Shift Key down. Select boot into recovery mode. After a few seconds you should get the "Recovery Mode Options" screen. 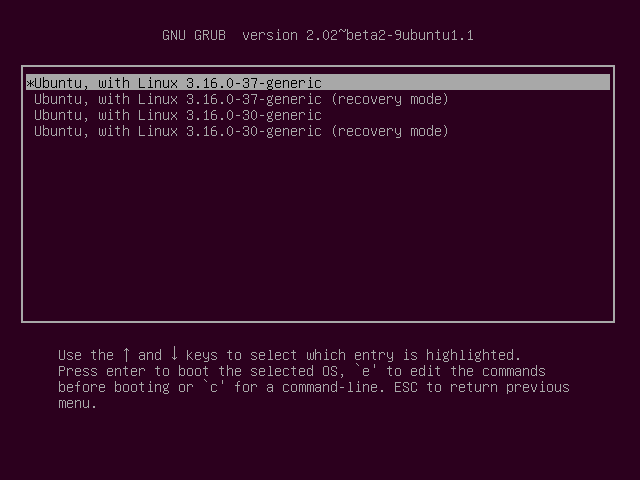 Select "grub Update grub boot loader", and you should get this screen. Select "Yes". Wait for it to go through the update. 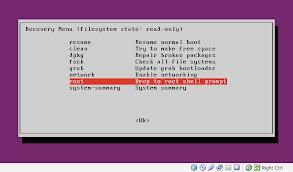 Now select "root Drop to root shell prompt". Now you should be at a root terminal with something like the following: youracctname@yourcompname:~$. type passwd accountname ( acountname being the name of the account you are trying to change the password for ). Enter new Unix password: "enter the new password". Retype new Unix password: "retype the same password you did in Step-8". It should confirm successful password change. type exit at the prompt and reboot. You can change your password if you have access to the file /etc/shadow (maybe with your root account, via sudo from another account, from recovery mode, or with a LiveCD/DVD). The encrypted string represents "hackme". This would be your new password. No, there is no way to retrieve the old password. In which OS have you forgot the password, Ubuntu or XP? 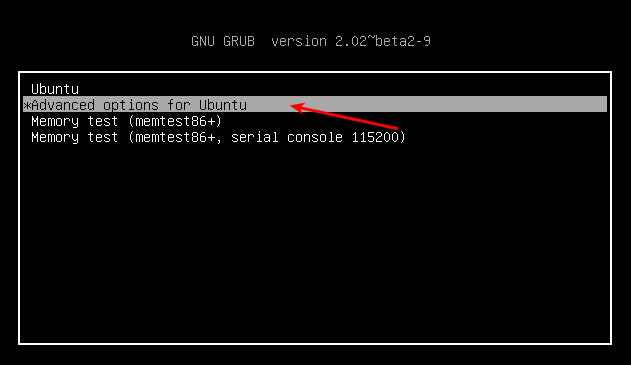 For Ubuntu, in the boot GRUB menu, you may append init=/bin/bash to the kernel boot parameter to get a root shell. I scrolled to this line with Down/Up arrows, and moved to the end of this line of end, and changed ro recovery nomodeset to rw init=/bin/bash, and then hit Ctrl + x. This will boot you into the system as root, and you can change your password as normal. What is the default password for Ubuntu 12.04? How can I find out the ROOT password? Broke my sudoers password, how do I reset it without using sudo? How do I reset a lost password (using recovery mode requires me to type the password)? Password changed for no reason? Password not accepted. How to reset? How Do I Reset my Ubuntu Password on a Laptop That Came with Windows 8 Pre-installed? how to reset a lost admin password? I forgot my passwowd and my administrative account will not reset (password recovery)? How to reset sudo password?